The author of more than twenty books, including the best-selling Mars trilogy (Bantam, 1992–96) and, most recently, the critically acclaimed 2312 (2012) and Shaman (2013; both Orbit), Kim Stanley Robinson is the winner of the Hugo, Nebula, and Locus Awards for science fiction. He is an active affiliate of the Sierra Nevada Research Institute at the University of California, Merced, and lives in Davis, California. This blue beauty weighs eight ounces and is so delicate that Gossamer Gear had to stop making them and shift to stronger materials. When they did, I bought three of them, and they came in the mail in 9 x 12" flat envelopesGG showing off. Now I treat the packs like eggs and hike the Sierra light as a bird. I might even float off. 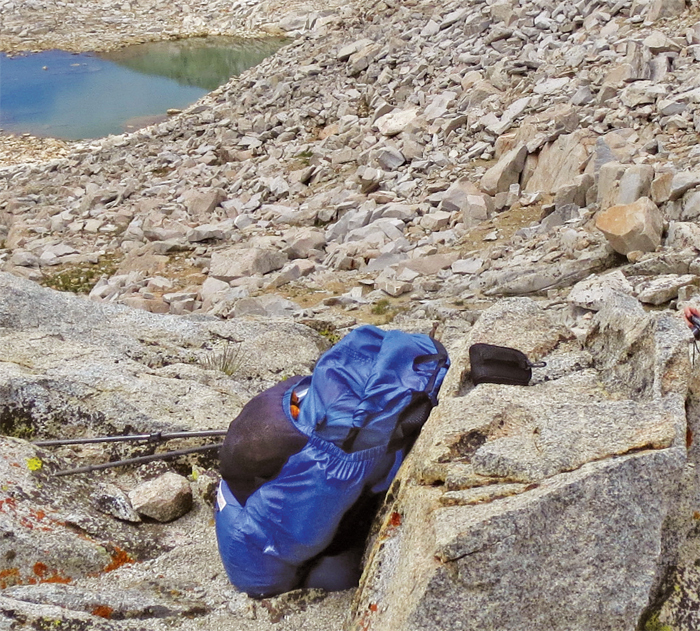 The author’s Gossamer Gear Ultralight Backpack. Photo: Kim Stanley Robinson. Several hundred thousand of these early stone tools have been found in Africa, Europe, and Asia, so a lot are traded privately outside the museum circuit. I have one, but I bought it off the Internet, so it may be a fake. (Its patination is suspiciously smooth, as though the knapper sent it through a rock tumbler.) If my seller is to be believed, however, this hand ax was found in Spain in a soil layer some three hundred thousand years old (the oldest such axes date to 1.8 million years ago). Acheulean hand axes are a bit mysterious because they are pointed but often sharp all the way around their ovular form, so there is no way to hold one without cutting yourself, and yet they’re not fit for the end of a spear, either. 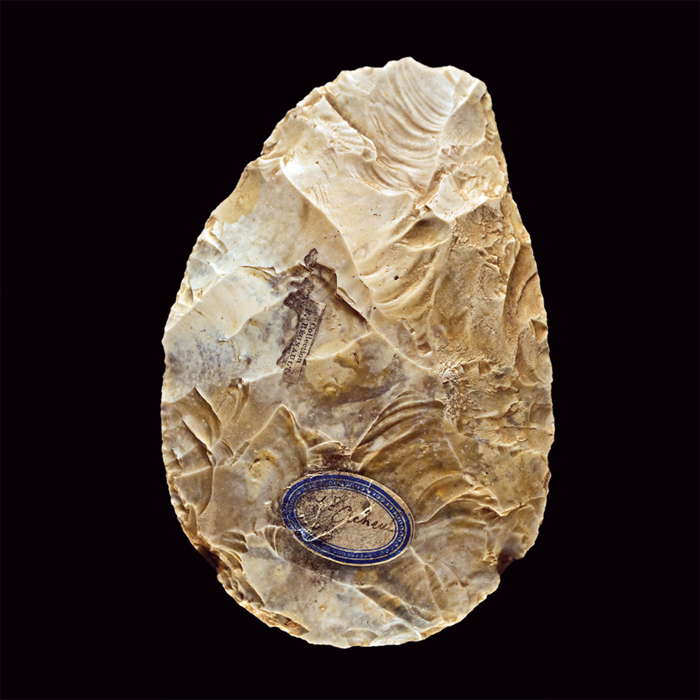 Some have called them killer Frisbees, others the Swiss Army knife of the Paleolithic. In any case, this tool predates Homo sapiens, and I like being reminded that we’ve been technological since before we were even human. Acheulean hand ax from Saint-Acheul, Amiens, France, ca. 400,000 BC, flint, 3 1/4 x 2 1/4 x 1 1/4". Photo: Didier Descouens/Wikicommons. The latest album by these guyscurrently Keith Murray, Chris Cain, and Andy Burrowsis like all their other releases: smart, funny, full of hooks. They are scientists of the three-minute power-pop song. 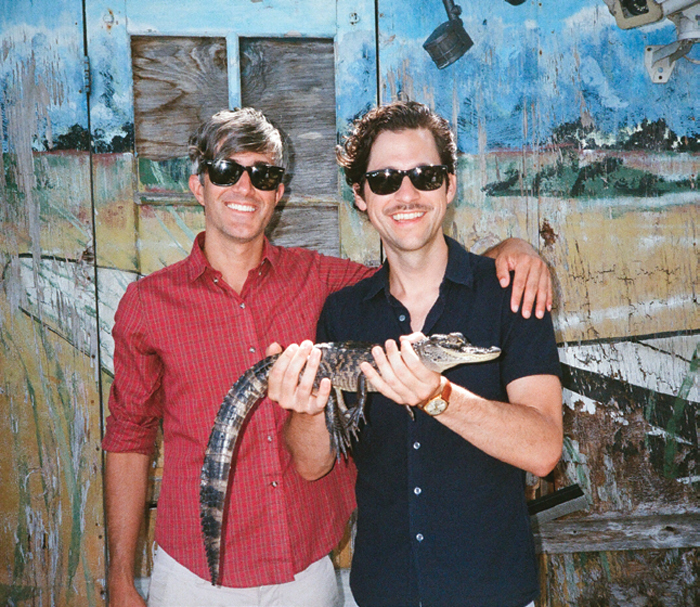 We Are Scientists. Keith Murray and Chris Cain, Miami, 2013. Photo: Dan Monick. Penguin Classics has begun reissuing Simenon’s seventy-five Maigret novels. Originally published between 1931 and 1972, they are now being rereleased about one per month for however long it takes. Through the Belgian novelist’s stories,we’re given an existentialist’s Paris and a good marriage. This is good reading for the road. Made thirty-two thousand years ago in the depths of the Ice Age, this painting may be the greatest ever. The muralwhich depicts a type of cave lion now long extinctis so detailed that it has taught zoologists many things about the species, including the fact that its males had no manes. 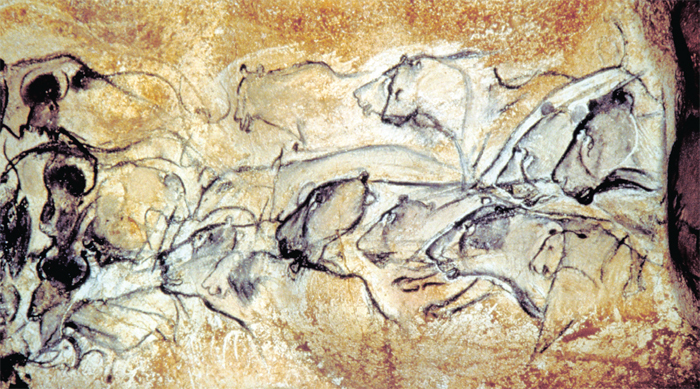 It also shows that these early artists were employing a technique akin to stop-motion: Note the lions’ detached forelegs, their bodies’ elongation, and the multiple versions of one of the beasts. We can see that two of the big cats, apparently distracted from the hunt, are touching noses in classic cat style. The people who made this art paid attention to animals with an intensity that comes from interdependence. Such focus is also a form of love and the foundation of all great art. I guess you could say that the lions in this painting are loving the bison. In such scenarios, best stay out of the lions’ way! Paleolithic painting from Chauvet Cave, Vallon-Pont-D’Arc, France, ca. 30,000 BC. Photo: Carole Fritz and Gilles Tosello. A spring delight, these beauties are only good in your own garden, around Easter. They don’t travel well. 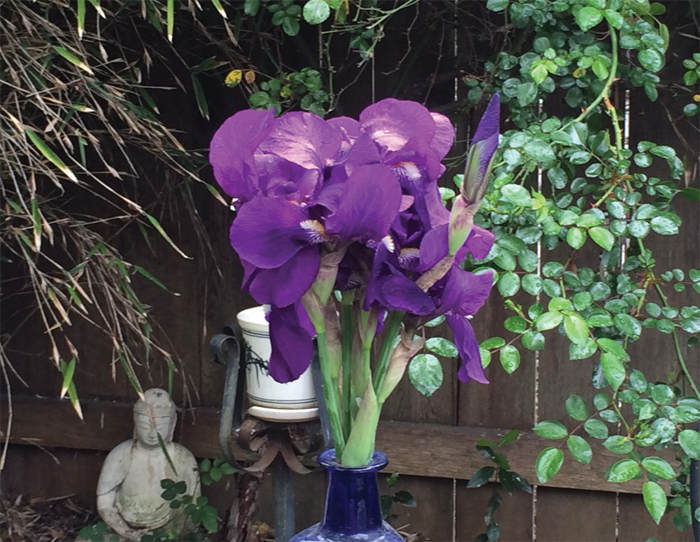 Irises in the author’s garden. 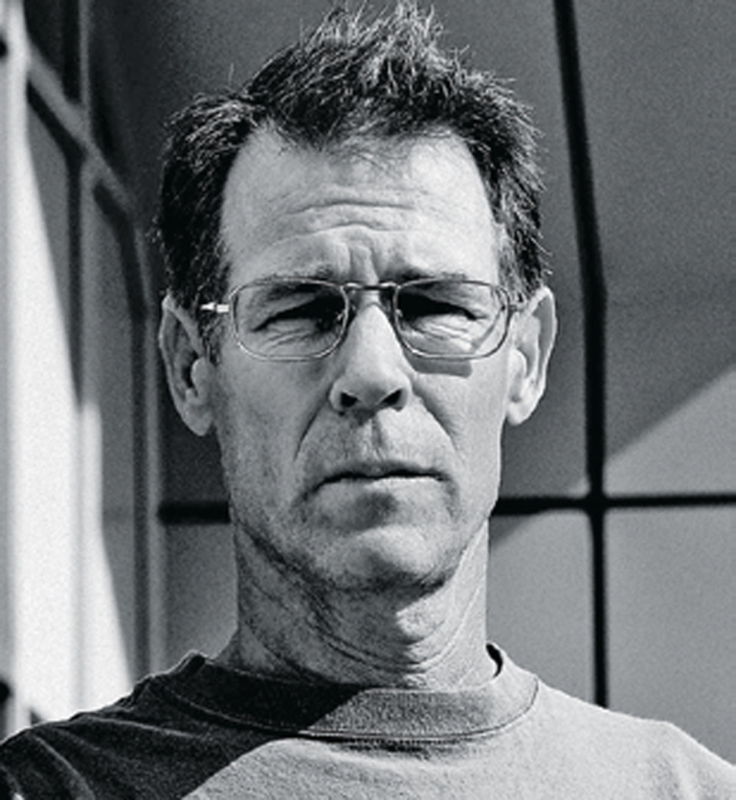 Photo: Kim Stanley Robinson. I looked at Mars for fifteen years by way of NASA’s Viking photos, and then I saw the first images coming from Curiosity’s orbiters and landers. I was stunned. It was as though I had been nearsighted and color-blind all my life, and then suddenly could see the Red Planet with full sight. And what a beautiful sight it was: a million different textures and tints and colors articulating the ancient volcanoes, crater rims, and canyons. 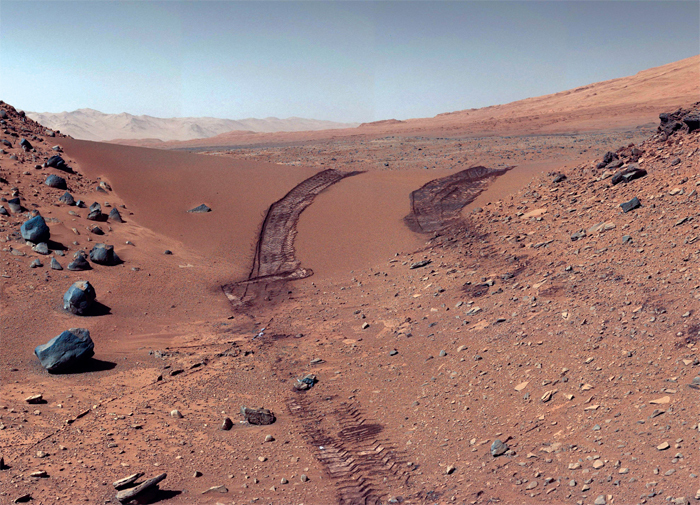 The wonderful new rovers have visited hilly areas that the two Viking landers had to avoid, and it’s become evident that long-distance views on Mars will be spectacular, despite the tighter horizons we’ll perceive on this smaller planet. Someday Mars will become a human space, and when we do inhabit it, there are going to be a lot of very happy artists there. Mars’s Dingo Gap sand dune photographed from the rear of Curiosity, February 19, 2014. Photo: NASA/JPL-Caltech/MSSS. I made a necklace for my wife from obsidian I found in California’s High Sierra. Since there is no naturally occurring volcanic glass in the range, the flakes had to have been left by humans. We happened on this apparent knapping site at sunset, and gleaming in the angled sunlight were countless shards, suggesting hundreds or even thousands of years of people sitting around in that high place, catching the summer view, talking as they worked. Of the 1,775 poems Dickinson penned during her lifetime, only a third or so are comprehensible to ordinary humans. Yet each is luminous with something deep, right on the edge of meaning. They are all extremely interesting; to be taken one or two a day. I have accumulated so many maps of the High Sierra that I can now spend hours armchair backpacking, which is considerably easier than the real thing. I like the most detailed topographic maps, but I keep a plan (the one found in the Starr’s Guide) of the whole range on my wall, marking where I’ve been, with the idea that I should go where I’ve yet to explore. I also like 3-D plastic maps, lame though they are, and, of course, Google Earth. Maps are such a great aid to winter dreams of summer trips!